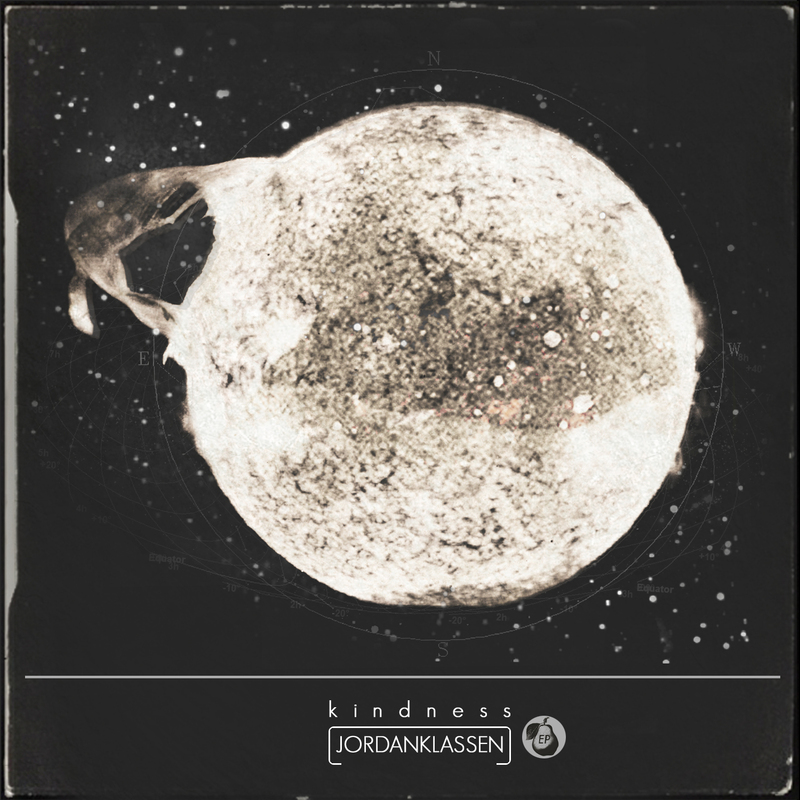 A few months ago I remember seeing the name Jordan Klassen pop up somewhere on the internet, and I took a few minutes to listen to a song of his. I don’t remember the name of the song, but I do remember being somewhat blown away. I was very happy to receive his latest recording, the Kindness EP and I can safely say I’ve been just as blown away. Klassen has a rare knack for making a song sound like nothing is missing despite vast changes in instrumental configuration between songs. He also effortlessly changes his vocal style to suit the mood of the song. “Go To Me” is a song that is near bursting with instruments and definitely the best of the four songs. It’s a meticulously-crafted song that put an image in my head of a conductor leading an orchestra. What starts with a few ukulele chords and Klassen’s vocals suddenly becomes a lavish affair complete with xylophones, drums, shakers and even a trumpet solo. The next track “I Am A Collector” takes on a full sound right away, this time using acoustic guitar, strings, xylophone and drums in the opening. Klassen’s vocals here are more passionate and suited for the acoustic atmosphere of the song. “Threads” is the most haunting song on the EP without a doubt. The quick but simple picking and Klassen’s here-wavering vocals give the song an urgency, especially when the strings hover ominously in the background. Finally there’s “Call And Answer” which provides a sunnier contrast to the sombre mood of the previous track. The song is rich in imagery, the most evocative for me being “And the cedars are shaking like men at their judgment/Bowing to the howl as the dust churns about them.” Klassen sings like each phrase is a proclamation unto itself. This EP feels over too quickly. I’m happy to report, though, that this is a precursor to an upcoming full-length to be released later this year. Get the EP via Bandcamp, where “Go To Me” is available as a free download, and also includes a bonus remix with the EP purchase.